At the heart of the bread basket of South Africa, producing an average of some 550 000 tons of maize a year, Bothaville hosts the internationally renowned NAMPO Harvest Day Show, held annually in May. As this is the major annual event in Bothaville we have developed a resourceful and comprehensive tourism development programme in support of this event. However, maize is not the only thing Bothaville can be proud of. The town is also famous for its export vegetables and roses, beautiful handmade articles, stock farming, innovative agricultural, industrial entrepreneurs and above all, its hospitality. No wonder visitors are pleasantly surprised on visiting this small Free State town! Boasting a population of approximately 90 000 residents the main economic sectors in Bothaville consists of grain cultivation, stock farming, fresh flowers, game farming etc. Light industrial manufacturing includes a Karet trailer manufacturing plant, manufacturing of agricultural implements and light engineering works. Supporting sectors are tourism, light industrial, governmental, medical and health services. Bothaville is the headquarters of Nala Local Municipality, which also includes the town of Wesselsbron. The Nala Local Municipality falls under the jurisdiction of the Lejweleputswa District Municipality. The municipality remains the sole supplier of running water and Eskom-generated electricity. Currently some 95 % of all households have access to clean water, while approximately 65 % of all households have access to electricity. Bothaville High School is regarded as one of the top 20 schools in the Free State, whilst the school was nominated by the Sunday Times as one of the top 10 Afrikaans schools in the country. The town itself has one primary school, the Eben Dönges Primary School, as well as three farm schools in the district, namely Loskuil Primary School, Kleinbroek Primary School and Humansvlakte Primary School. Kgotsong township has six primary and five secondary schools. 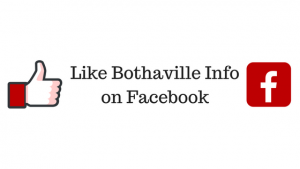 Bothaville has one provincial hospital and three municipal clinics at its disposal. There are also four general practitioners, one dentist and an optometrist in town. As for the climate – summer days are hot with temperatures as high as 35°C, which often brews impressive afternoon thunderstorms. Winter time is characterised by sunny cold days and very cold, frosty nights. The annual summer/spring rainfall is 500-600 mm and the late winter period around August has become known for heavy sandstorms.